Peter Bryer: Mobile Foresight: Finding MeMo. The $150 7-inch tablet from ASUS, the "MeMo." Sub-$200 tablets are here to stay. Finding MeMo. The $150 7-inch tablet from ASUS, the "MeMo." Sub-$200 tablets are here to stay. It wasn't long ago when we were wondering when someone would come along with the sub-$200 smartphone. Now low-cost tablets are dripping onto the market. And usually when it rains, it pours. 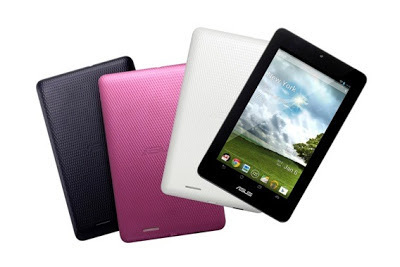 Today ASUS introduced a low-cost tablet called the "MeMO Pad." It has a seven-inch, 1024 x 600 resolution screen and runs Android 4.1 on top of a 1GHz single core processor, and comes with 16GB worth of on-board storage. The hardware isn't the amazing part, it's the price: at $150 this is almost at the impulse-buying level. We've been seeing a number of decent tablets now at the $150 range. Let's see if Amazon brings the price of its 7" Kindle tablet down a bit now. Next, get ready for the sub-$100 tablet you can buy at the supermarket checkout. For any new competitors entering the tablet market, please keep devices like the MeMo in mind, and make sure you add a dash of WOW rather than introducing a MeToo.